Addon features: Levels, both singleplayer and multiplayer. 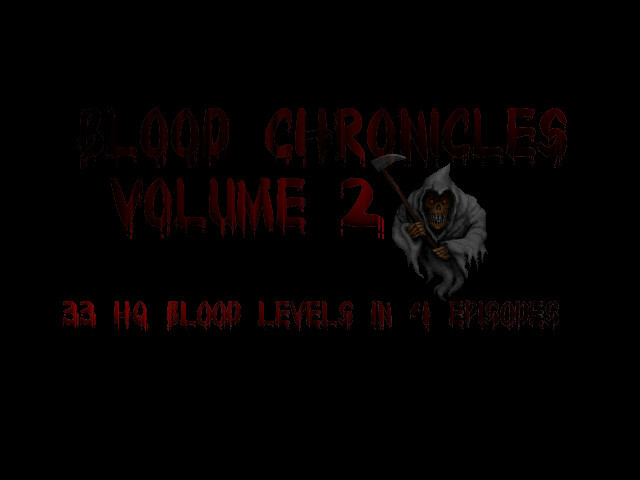 Advanced: This file required replace original/other game files Blood Chronicles aims to be the best blood map collection. Only the very best of Blood Community! 4 episodes + 8 Bloodbaths. Have fun! Addon features: Levels, both singleplayer and multiplayer. Blood Chronicles aims to be the best blood map collection. Only the very best of Blood Community! 4 episodes + 8 Bloodbaths.